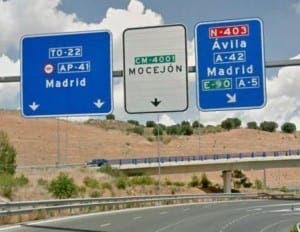 THE EU has condemned Spain’s toll-road system after taxpayers were left picking up a multi-billion bailout bill. Brussels criticised the policy in a new report after Spaniards were left with the bulk of a €3.5 billion debt for eight non-profit-making toll roads around Madrid. The highways were constructed by private companies who used the state as a guarantor to secure bank financing. Among the beneficiaries of the fiasco are the grandson and family of Franco, who owned land expropriated in order to build the roads. Some of the highways ended up carrying 82% less traffic than had been originally envisaged. When they were originally planned 15 years ago it was thought it would cost €387 million to build them.